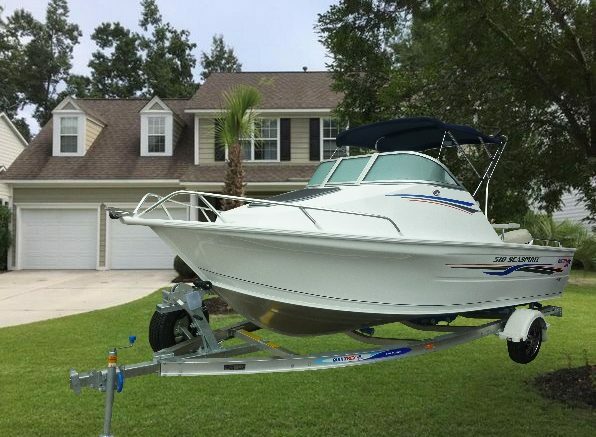 A Mount Pleasant man with a $75,000 center console boat has been storing it in his front yard because it’s the only place he can afford to keep it. Despite receiving numerous written warnings from his Home Owners Association, Chares Keller continues to keep the boat directly in front of his house and refuses to move it. Charles’ neighbors will hate him even more when he somehow qualifies to finance a brand new trailer camper that he also will keep in his front yard until it’s repo’d for non-payment. It will take the front yard grass five years to grown back again.